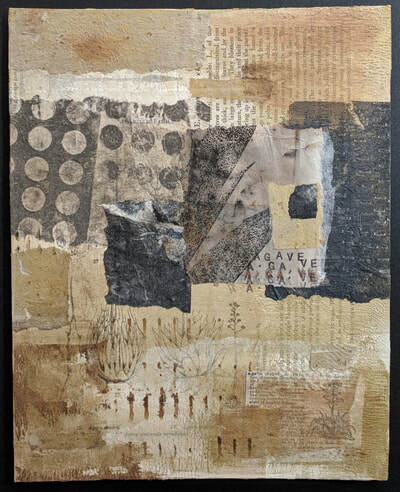 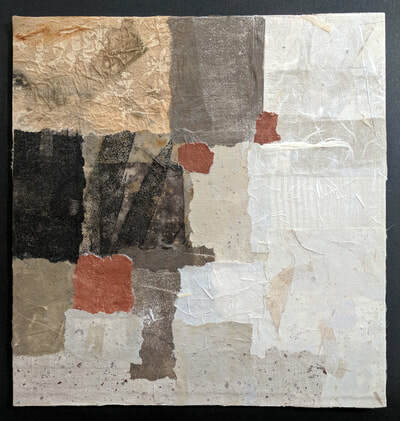 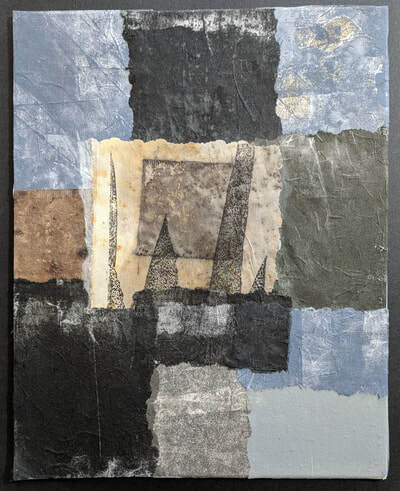 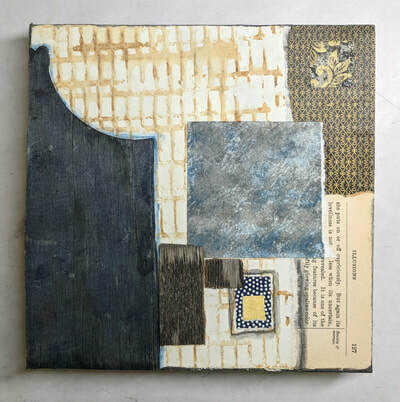 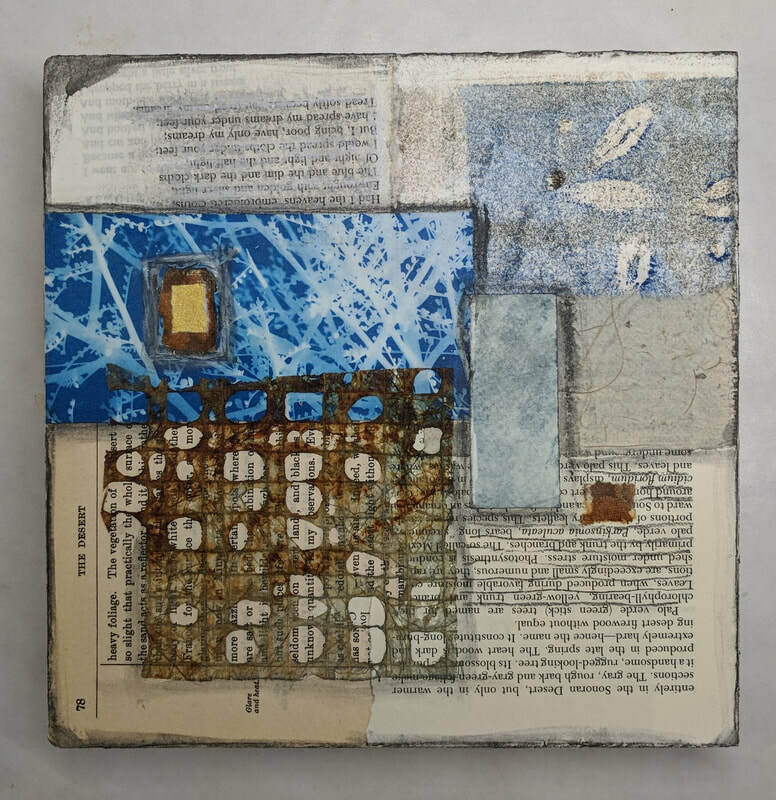 ​My mixed media collages are abstract and non-objective dichotomies of geometric shapes made from organic materials in minimalistic palettes of subdued colors. 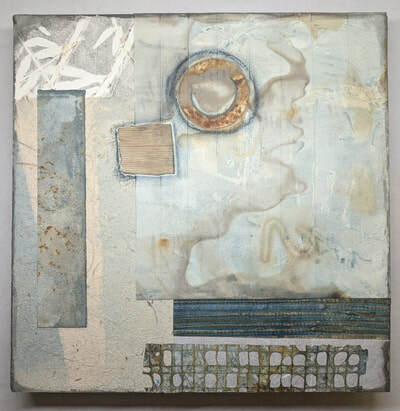 Using rectilinear shapes conveys a sense of earthbound calm, peacefulness and stability. 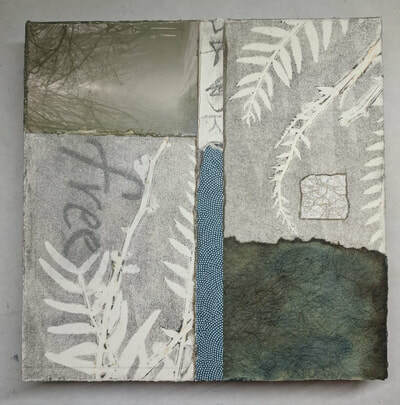 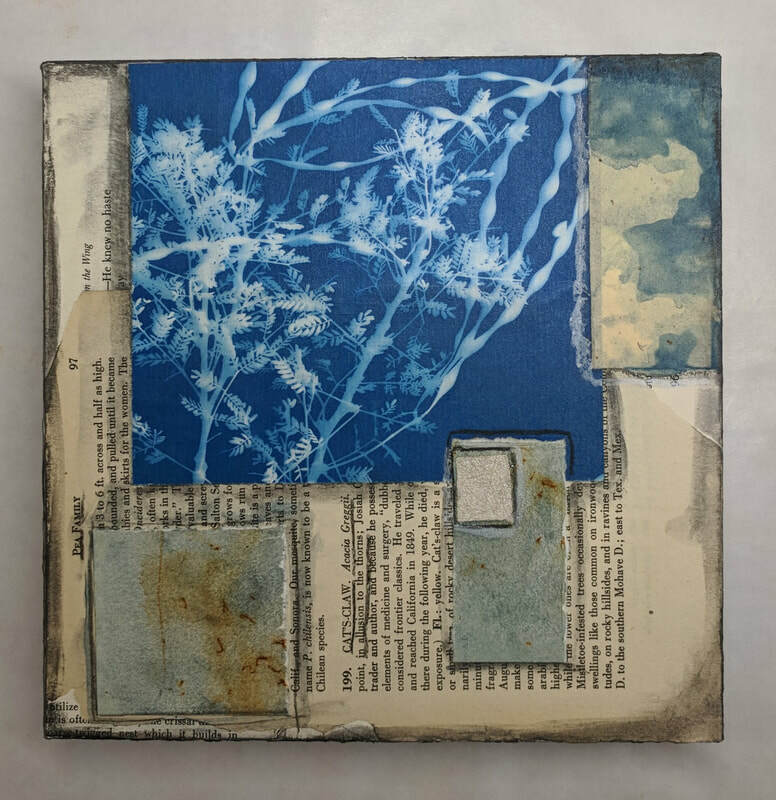 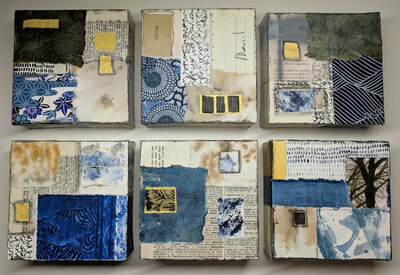 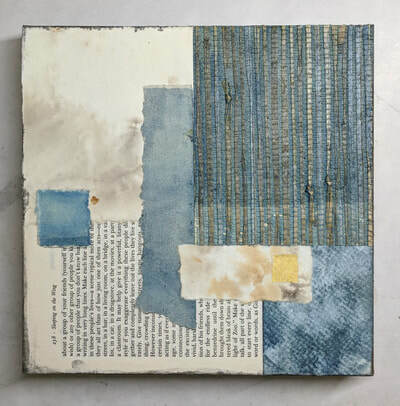 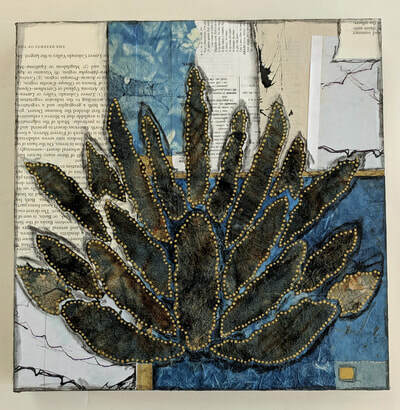 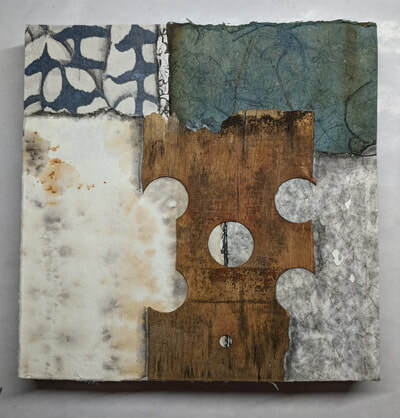 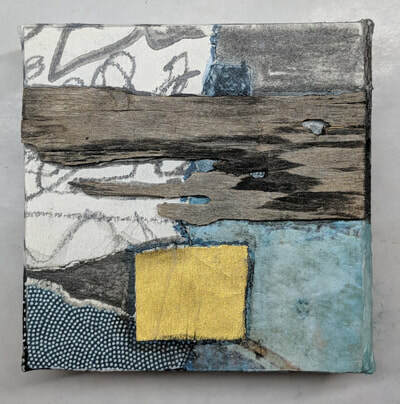 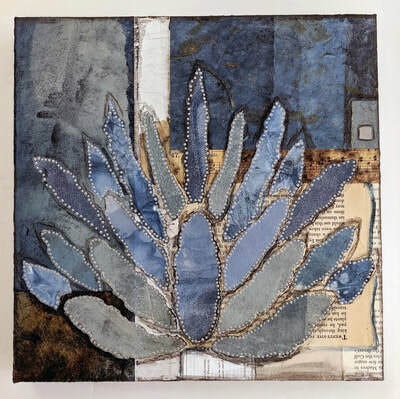 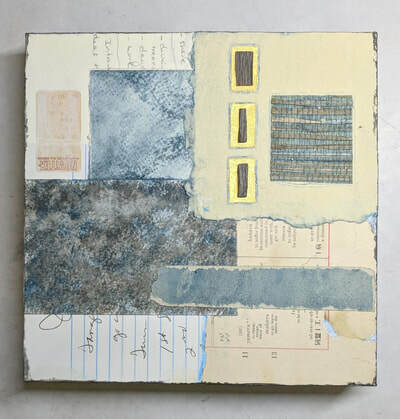 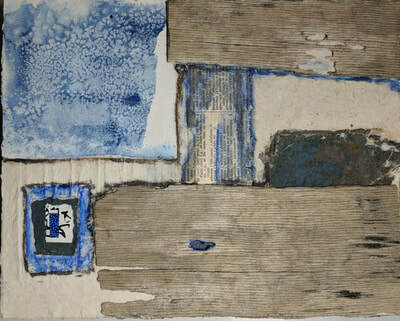 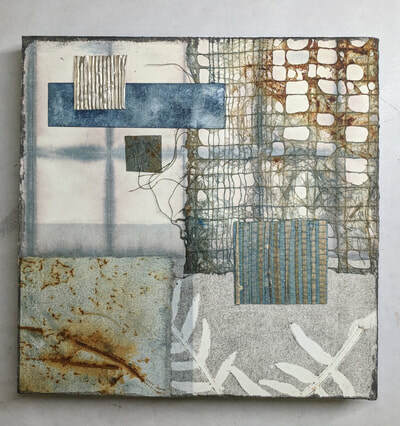 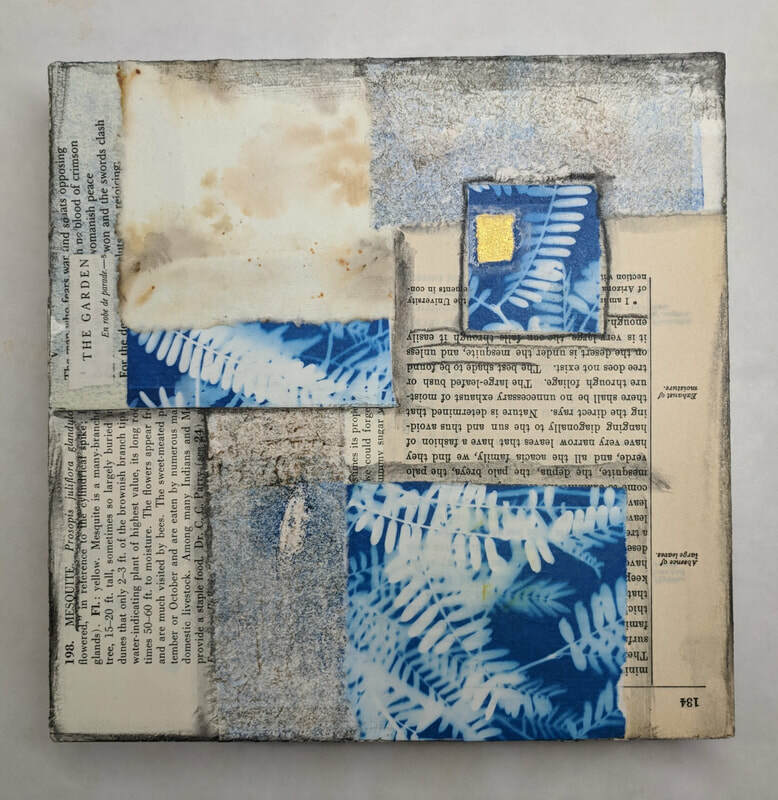 They are composed of washi and other various papers hand-dyed with indigo or distressed with tea and rust from found ferrous objects, found wood, old books, recycled and found papers collected from roadsides, graphite, pastel and acrylic paint. 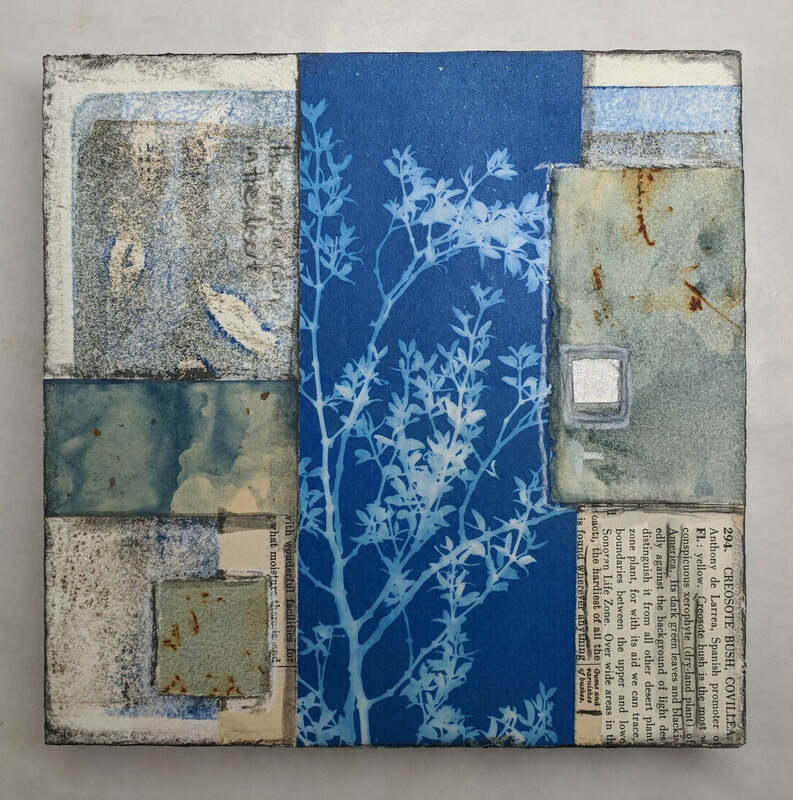 Mounting the collages on gallery canvas instills them with an enlivened and dimensional presence.